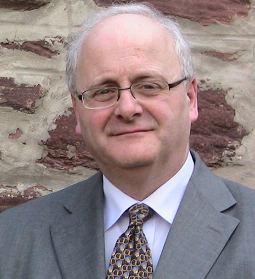 I’m very sad to record the death of Professor John Webster of St Andrew’s University on Tuesday 24 May at the (young) age of 60 (he and I were born only a couple of weeks apart in 1955). John was a giant among systematic theologians—indeed, theologians of any type—and a godly Christian man with a deep faith. I’m particularly sorry that we won’t see the commentary on Ephesians which he was intending to write. I knew him in my Cambridge days, when he was doing a PhD while I was reading for the Tripos as an undergraduate. I recall him doing a brilliant revision seminar for the Theological Students Fellowship when I was revising for finals (he was a PhD student at the time). He looked at Schleiermacher, who was on the syllabus for a paper on theological method which was required for all students. His opening line was, ‘There are two things to know about Schleiermacher: he was wrong; and he wasn’t as wrong as most people think.’ There followed a brilliantly clear and lucid exposition of Schleiermacher’s main ideas and contribution with cogent critique. Later on, I came to read and value his brilliant short exposition of the doctrine of Scripture, Holy Scripture: A Dogmatic Sketch (Cambridge University Press, 2003). Tributes have been paid by many; two particularly good ones are from Andy Goodliff and John’s St Andrew’s colleague, Steve Holmes. We thank God for him—his influence will continue through his myriads of doctoral students and his fine writings. I am few years younger than you, so I don’t think it can have been same event, but I remember him making that remark about Schleiermacher as well!